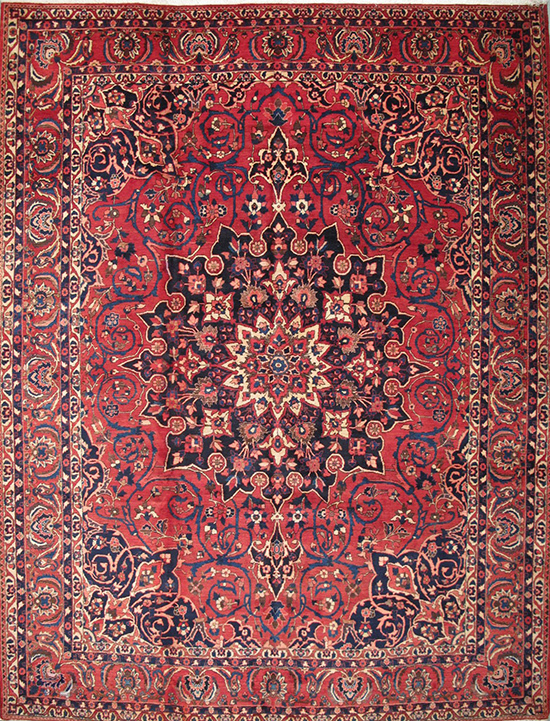 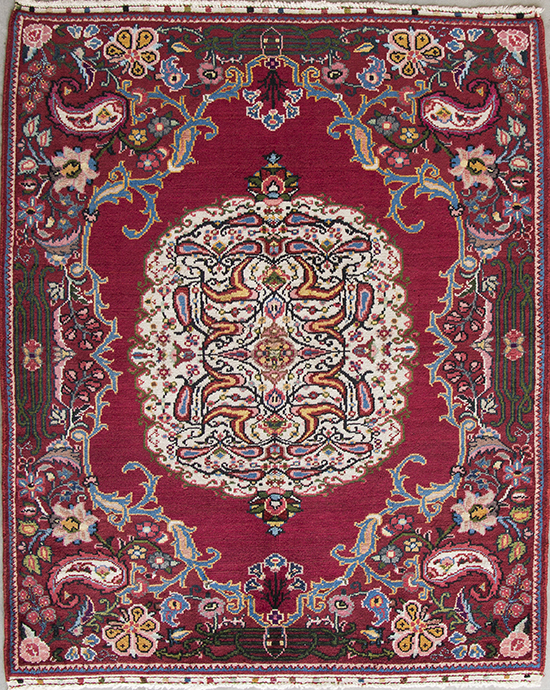 Exceptionally fine, antique Persian Bakhtiar from late 19th century in a beautiful corner and medallion design, all natural dyes, a very rare piece of art in perfect condition. 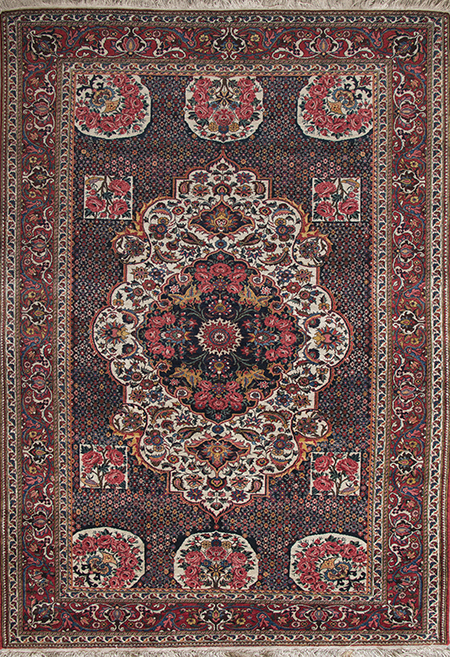 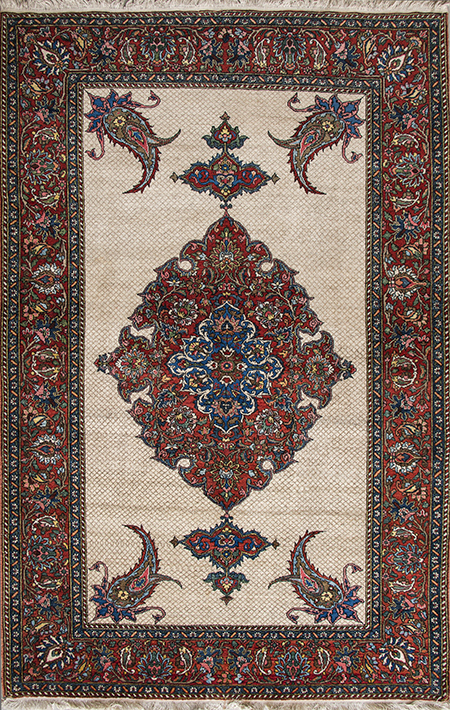 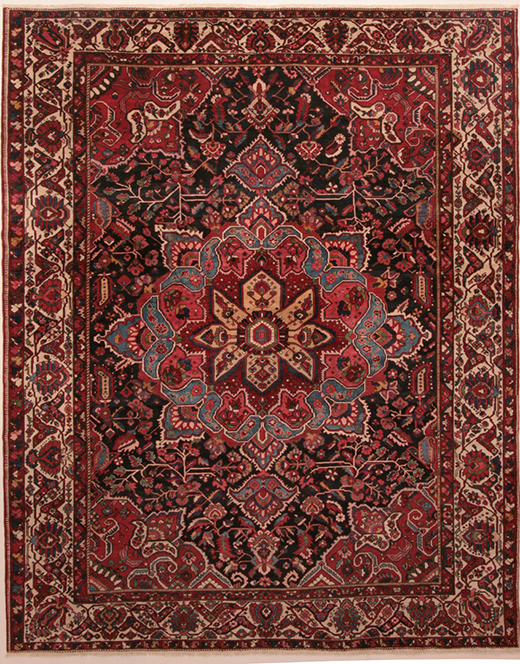 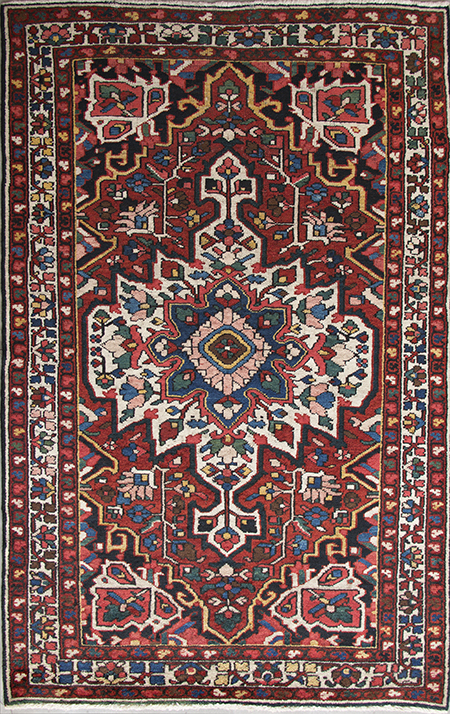 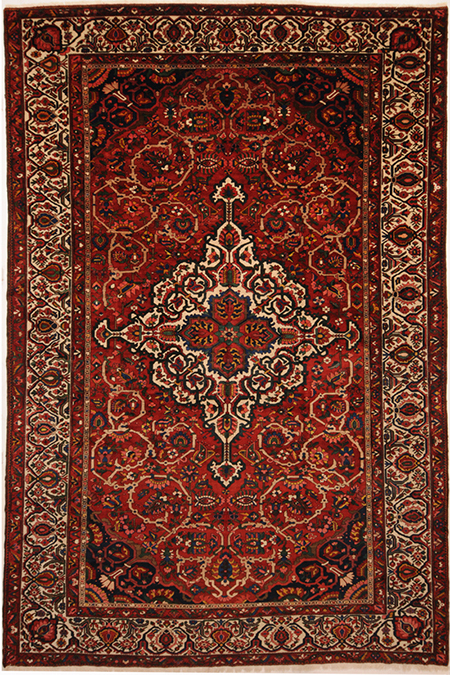 Good quality, semi-antique Persian Bakhtiar from mid 20th century in a beautiful color combination, harmoniously matured, and in perfect condition. 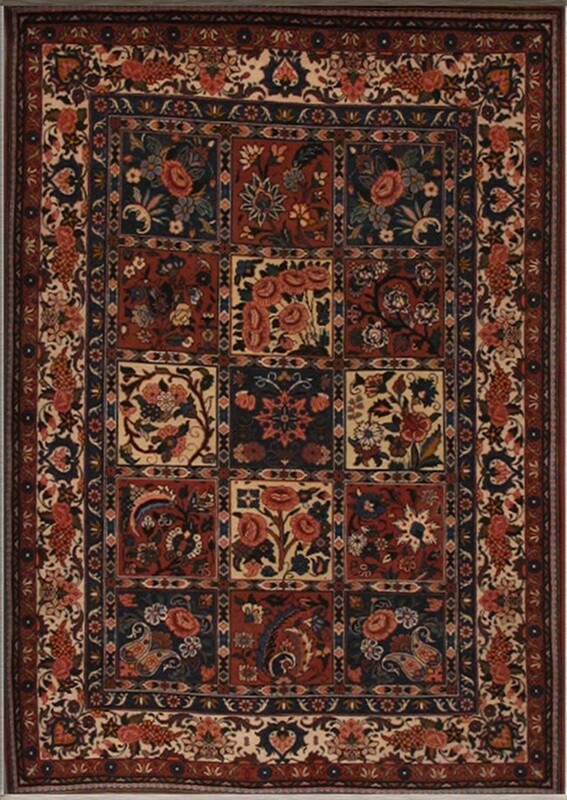 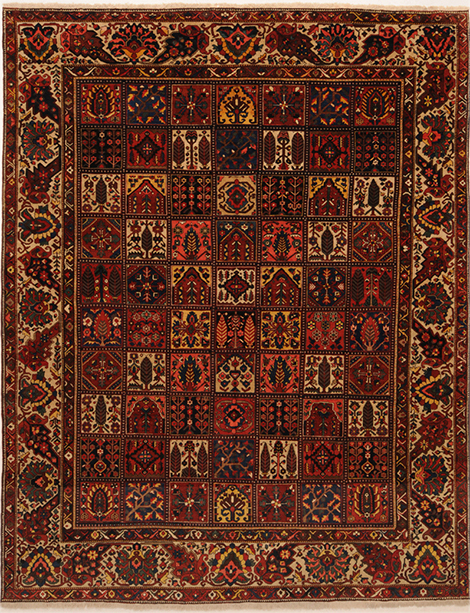 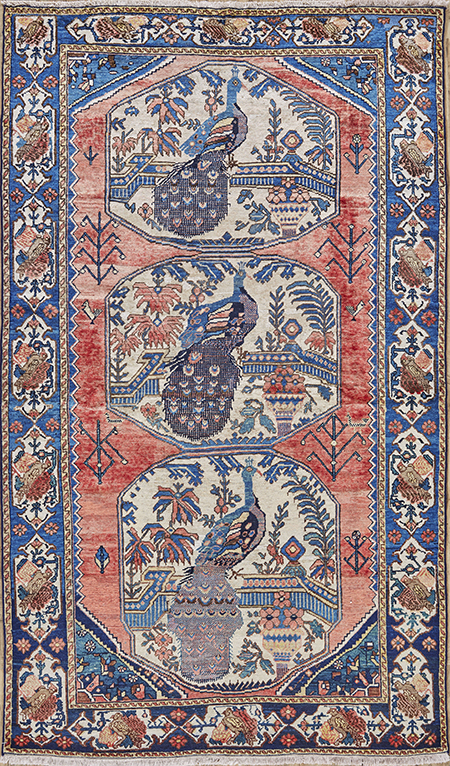 Antique Persian Bakhtiar from early 20th century, in a very unique "Peacock" design, all natural dyes, made in the village of "Hinegoon", truly a one-of-a-kind piece of artwork, low pile.